This project capitalises on one of the major opportunities now available to social researchers – the growing availability of organically generated auxiliary data from commercial transactions, public administration and other sources – and explores the potential these data offer for overcoming one of the most significant challenges facing social surveys today – nonresponse bias. Matching auxiliary data with data from the ESS in the UK. A detailed data scoping exercise will evaluate the quality and feasibility of using different auxiliary data sources as well as the risks posed by data linkage for data confidentiality. Conducting analysis of nonresponse bias in the ESS using the matched dataset to evaluate what insights auxiliary data can provide into nonresponse bias and how this varies geographically. 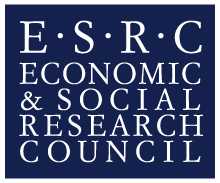 The project, funded by the ESRC, is an inter-disciplinary project benefitting from expert input from surveys methodologists, statisticians, and geographic information specialists. The project involves a collaboration between the Centre for Comparative Social Surveys (CCSS) and the giCentre at City University London, and the Department of Statistics at the London School of Economics. The project runs from September 2014 to February 2016.